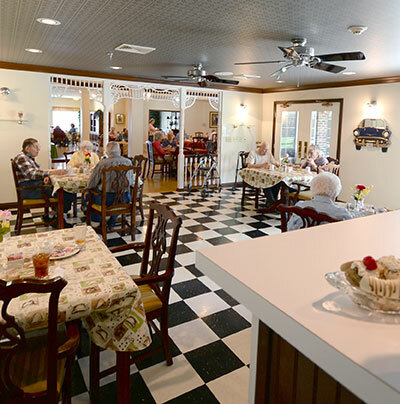 Cedar Court Assisted Living opened its doors in 2001, founded upon a desire to serve our residents, contribute to our community and provide a wonderful place to work for our employees. 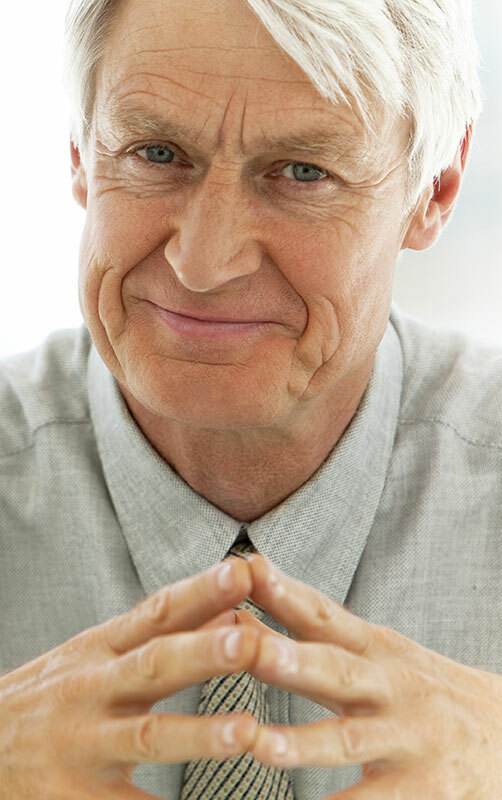 In the years since our opening, we have built an excellent reputation as a comfortable, caring senior living community, attracting residents from all across the United States. We offer 60 apartments in a range of sizes and floorplans to accommodate any individual or couple, in a secured building that is staffed 24 hours a day, seven days a week. 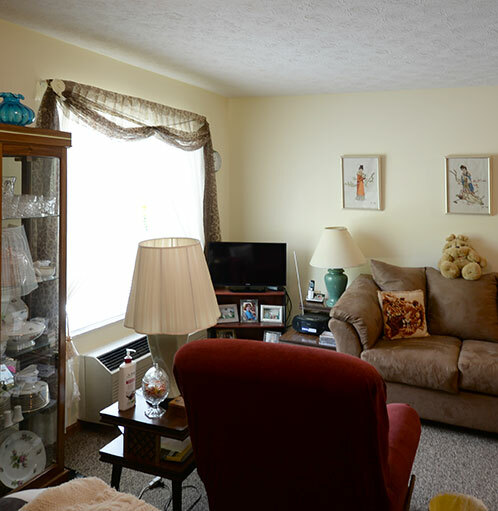 We invite you to visit us and see for yourself what down home appeal could mean for you and your loved ones. Cedar Court was designed to put everything you need at your fingertips. Choose the apartment that's right for you, then make it your own with furnishings of your choice. 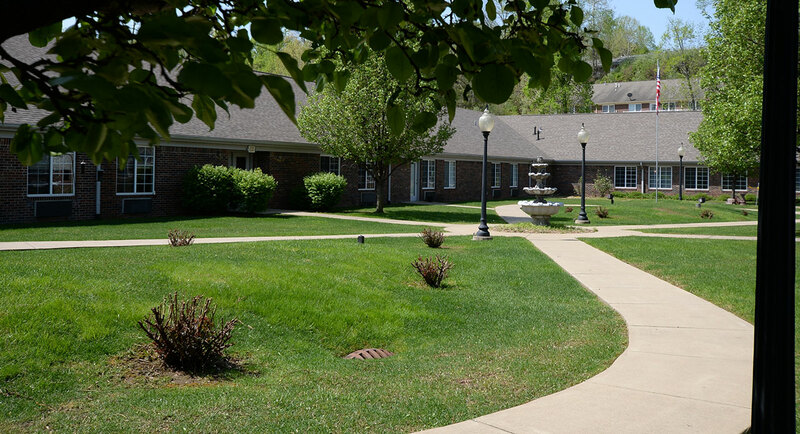 Each unit offers an exterior view of either the grove, in which Cedar Court is situated, or our tranquil courtyard with its rose bushes, central fountain and lamp-lit walking paths...a peaceful environment for bird watching, strolling, quilting, reading or relaxing outdoors. 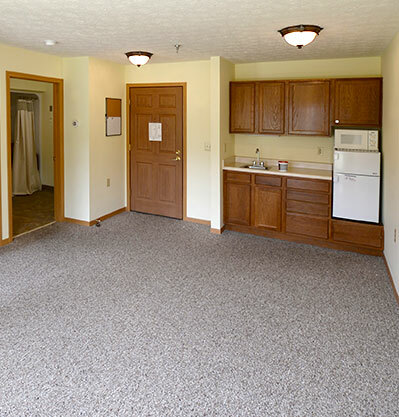 With six apartment sizes, we can accommodate almost every need. Includes three meals a day plus snacks. Includes weekly housekeeping with laundry of flat linen. Around the clock attendants on duty. All utilities except, telephone and cable. Assistance in helping wheelchair tenants get to events and meals. 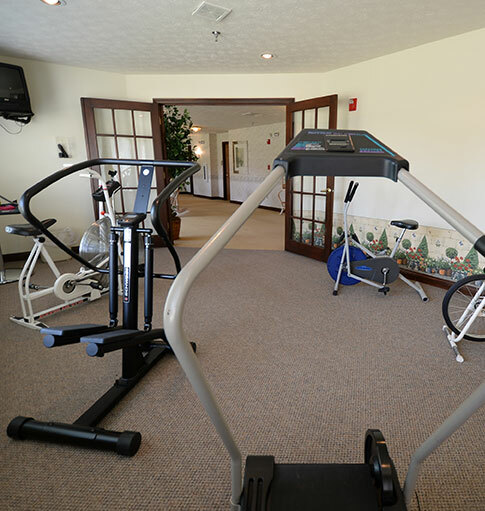 Everything about Cedar Court is designed with your needs in mind. In our Community Dining Hall, with its sunlit courtyard view and cozy fireplace, you'll enjoy gourmet meals planned and prepared by our fabulous dietary team, with portions based on your specific orders from family or physicians. Unwind with a book, meet a few friends or enjoy some entertainment in our warm and inviting Living Room. Music lovers will find performances for every taste, from a gospel choir or a solo artist singing Patsy Cline to a pianist or a bluegrass band. You might even find yourself on the dance floor with family, friends or staff! Looking for some sunshine? 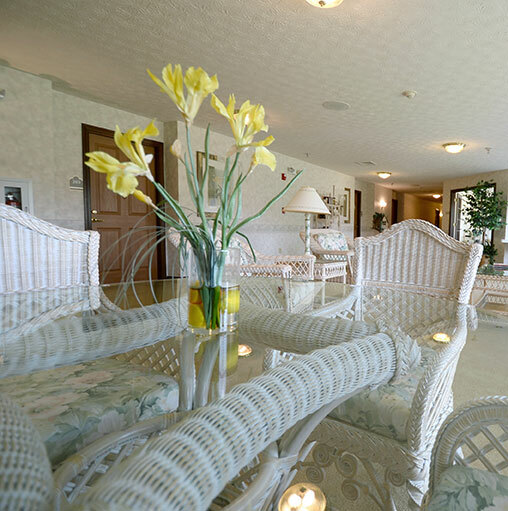 The Tranquility Room offers a peaceful, sunlit area with ample seating for family and friends…the ideal setting for quilting, drawing, reading, puzzles and more. In the mood for a treat? Take a trip down memory lane with our 1950s-themed "Happy Days" Ice Cream Parlor near the courtyard, and enjoy an old-fashioned Ice Cream Social every month where you can reminisce about those good old days. And there's more! Always look your best with a variety of services offered by our beautician in our onsite salon. Work out on your own or with a friend, or take part in regular exercise classes in our fitness center...then relax in the whirlpool tub. Unwind and enjoy a little me time watching the beautiful fish in our Aquatic Room. 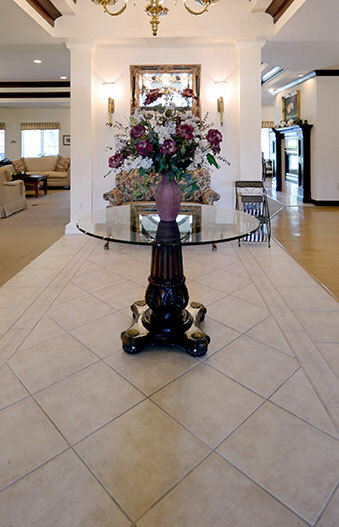 Come for a visit and see the unique blend of charm, elegance and comfort we offer at Cedar Court.